There have been 835 images uploaded to this topic. (View topic image gallery). There are 4168 posts in this topic. You are on page 84 of 84.
for this game in particular, I prefer a warmer, dimmer look so will likely reduce the overall brightness as well. Incandescent bulbs provide this exact this type of illumination. It's my personal experience that incandescent bulbs are not only significantly cheaper they also last a lot longer than their LED replacements. 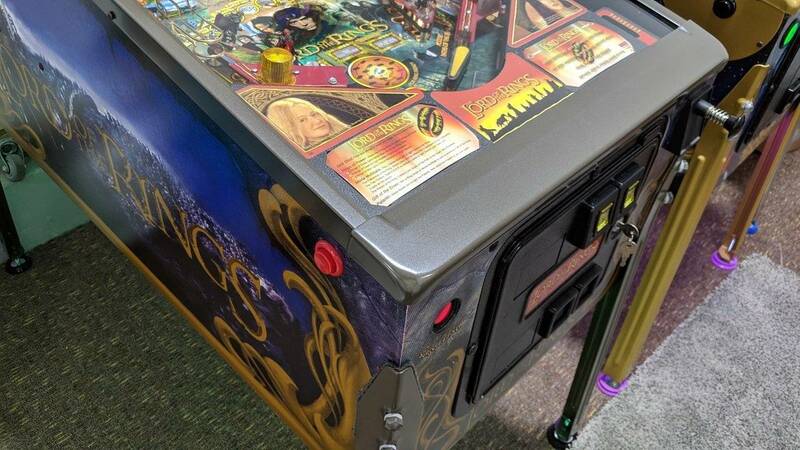 LOTR is a tough one for powder coat choices, since every side of the machine uses a different color pallet. I tried an oil rubbed bronze colored powder and I'm really pleased. You made a good choice. That looks great! I have an OCD in mine. I understand there are settings but I’ve never messed with it. In this game, does it make sense for me to learn and adjust the settings? I guess the answer to this question lies i whether you have a condition similar to the board’s name. In other words, are you OCD about how things look? I was very OCD and spent a little time (but not much) tweaking a few bulbs for brightness so they blended in with the others. If you don’t see any issues then skip it and stick with the stock profile that you initially loaded. They SO do - but you're on the money - it's got to be done right or not at all. 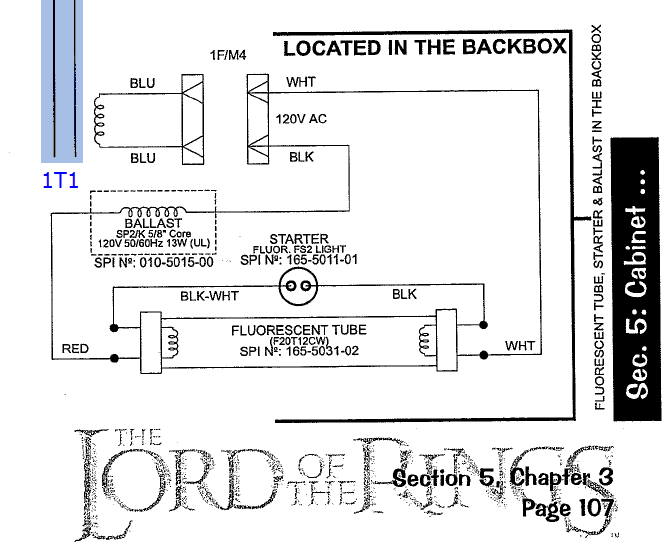 certainly not mandatory to learn the settings, but i agree with the other comments that LOTR is a delicate flower when it comes to LEDs. Personally i used Comet's 2SMD warm white frosted bulbs throughout - so they're all the same brightness, colour temp & profile. Also easier/quicker to buy a big bunch 75% wedge to 25% bayonet, roughly speaking, than it is to colour match and build a complex shopping list. Brightness can be adjusted down to maintain that dimmer glow like incandescents. It's 85% peak by default i think with LED OCD, which is a good start. There's also the delay which i think i set to 1, instead of the default 2. In summary, you get out what you put in! Sometimes i wish i could OCD Metallica Premium. It's way too blinky & bright for my eyes! I really, really wish I installed the NVRAM I got right before I did this but it has to go away forever. My best score yet by at least 2x. 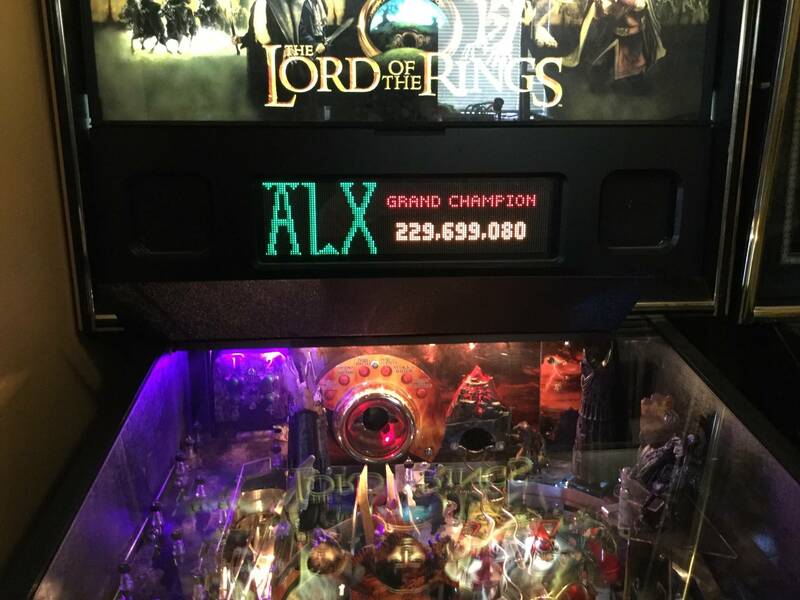 Isn't the high score capped at 250 million on the original production runs of this game? Nice job btw, sorry you had to lose that. btw, still having quirky issues with that right VUK. 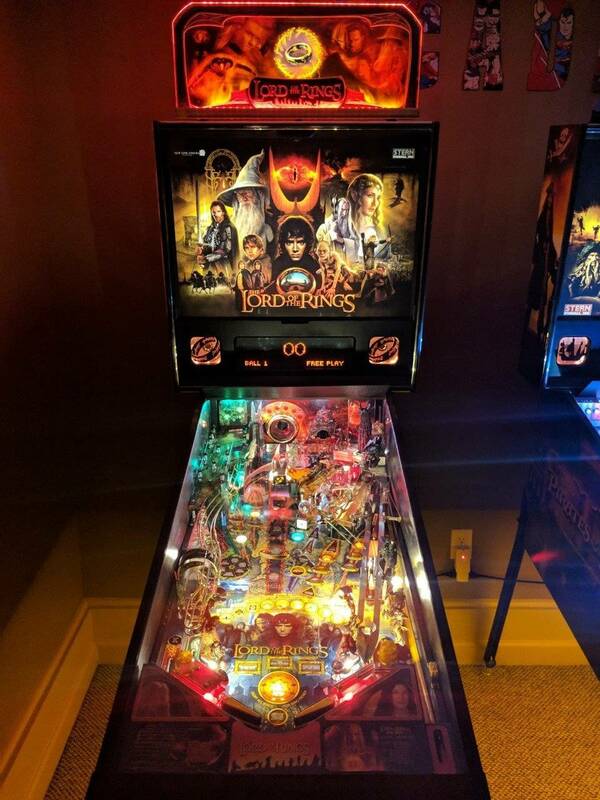 It knows the ball is there, but it takes it's good ol time sometimes kicking the ball up, usually ending up in ball search mode, and of course always right in the middle of a game. 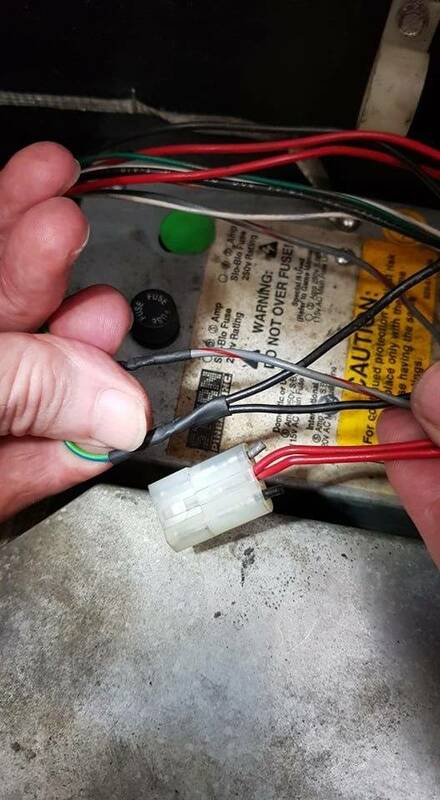 One bit of advice - if you go into the built-in help menu it takes you through a troubleshooting procedure, one of the later steps is to use a wire and short the tab of the magnet transistor to ground to test if the transistor is good and the magnet energizes. 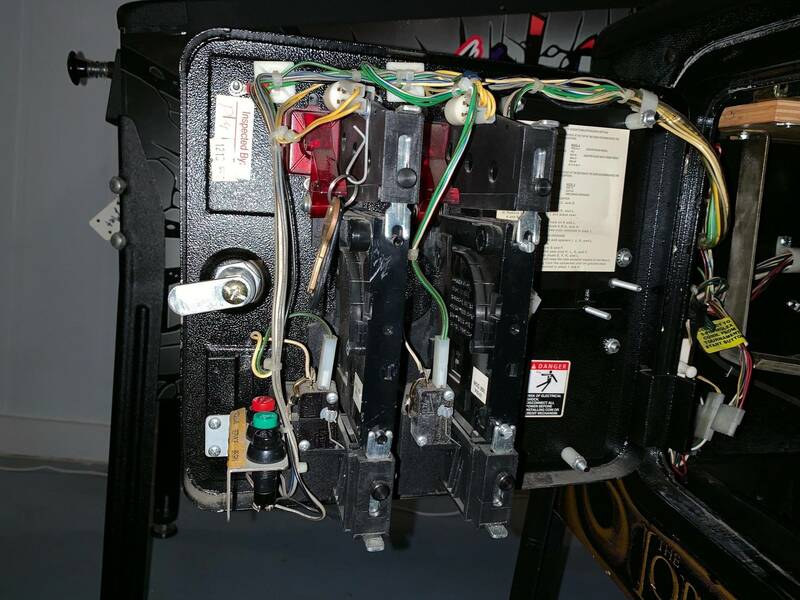 Mine tested bad (because the fuse was blown) but I decided to try shorting some nearby transistors to see what would happen. Well, what happened was that I got a spark and blew two transistors , so DON'T DO THAT! 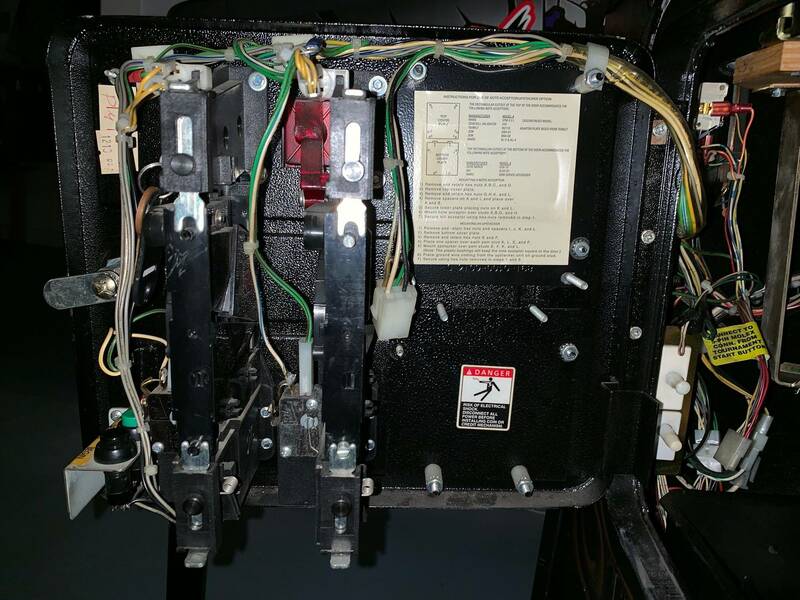 I had to replace the 2 transistors and the blown magnet fuse and now all is back to normal with no further issues after several games. This exact scenario happened to me just recently. 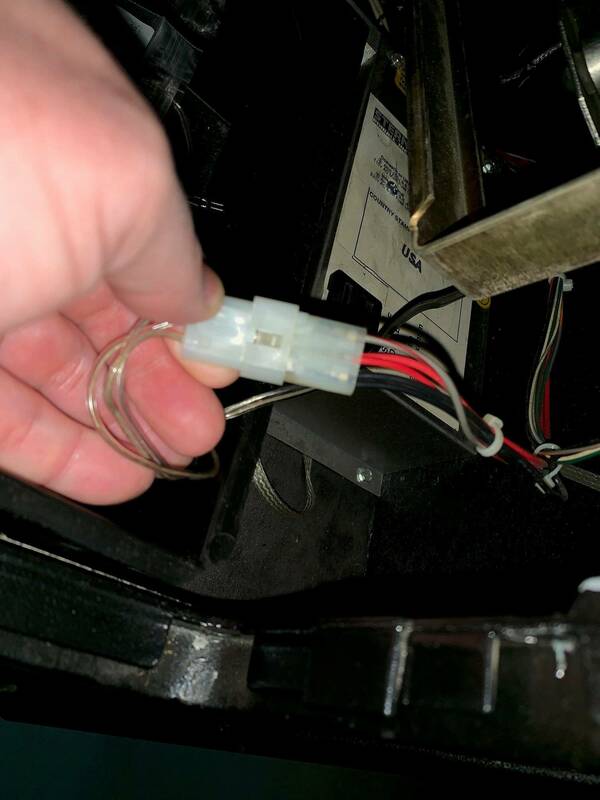 I have to replace the original backbox speakers and wires (from a Pinsound card, long story) and wanted to make sure I have the wiring correct. 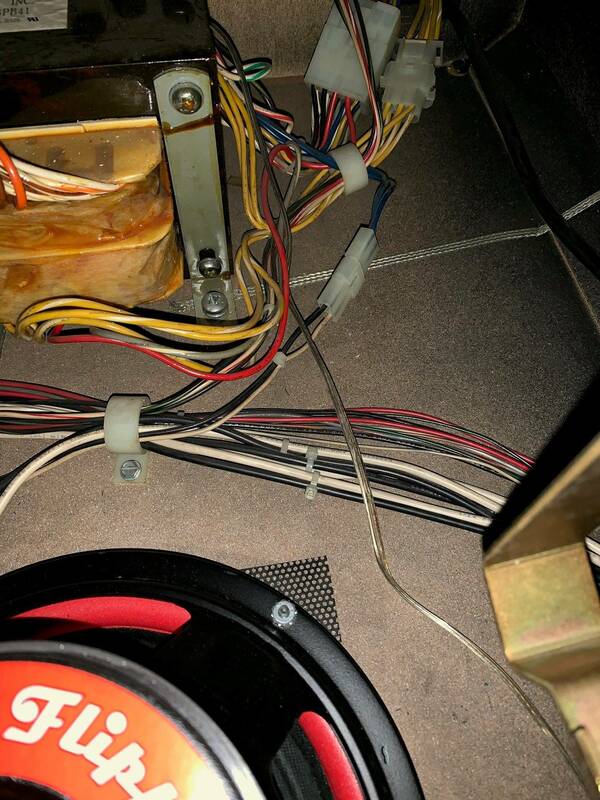 Can anyone confirm how the wires run to each of the 2 backbox speakers? Thanks in advance. Just joined the club today, are there any must have mods I need to have to enjoy the game? I plan on having it for a long time. 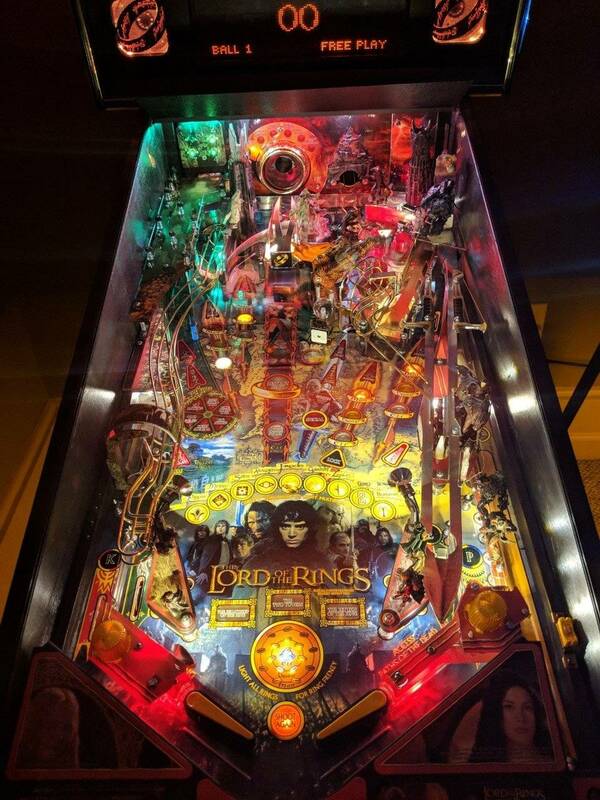 The palantir mod is one of the best in all of pinball. That's the one you need to have. Color DMD in Scan mode really enhances the game a lot. 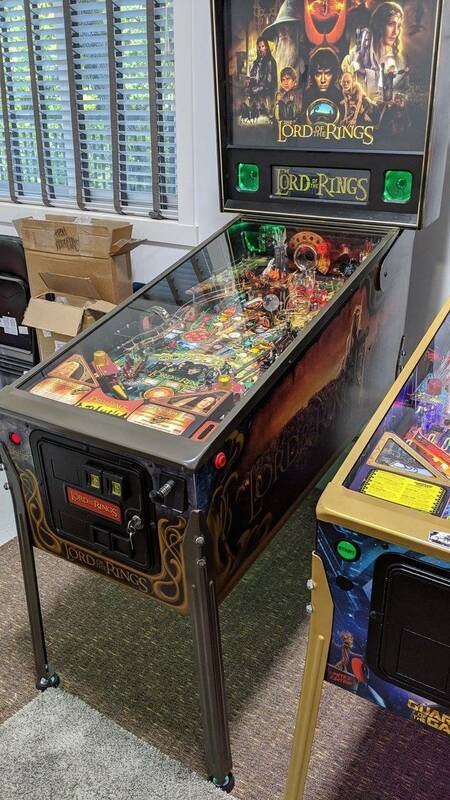 I think the Shire Decal is much needed as that part of the playfield is so barebones without it. 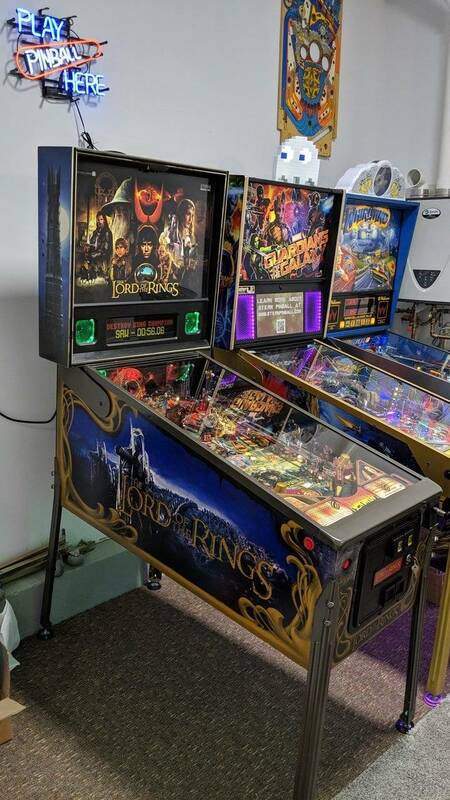 I'm also a fan of the Army of the Dead mod to add some character to that upper playfield. As stated above, the palantir mod is incredible but almost impossible to find. A new person is making them now but there's a back order list of at least a year already, and we don't even know if enough parts exist for him to make them all. If you're into enhancing the art, there are some really great options for art blades: sillyoldelf's are my favorite, but there are also brass mirror blades which are cool and a few other art blades including ones that light up. All in all, it's a great game. I'd suggest just giving it a good cleaning and enjoy the game. EDIT: LEDs are controversial on this game, but IMO if you do them tastefully they really add to the game as well. You need to use an LED OCD though which is not cheap. 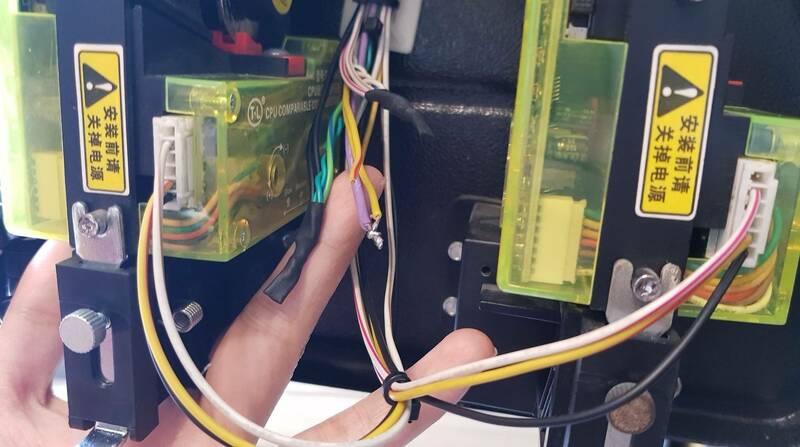 Don't try to do LEDs without one, there is too much dimming in the game that will cause LEDs without the OCD to just flicker too much. EDIT: LEDs are controversial on this game, but IMO if you do them tastefully they really add to the game as well. The incandescent bulbs do look good in this game; however, LEDs are the way to go if done tastefully. I ordered the Cointaker complete kit. Once I had it installed, I made some modifications to suit my taste. Warm white in the GI is a must for this game! I also added spotlights on the slingshots to light up the middle of the playfield a little better. 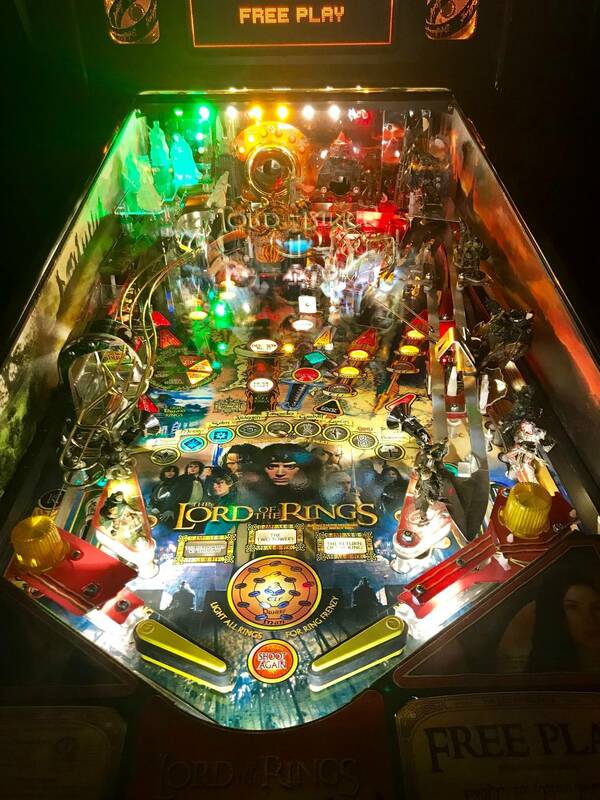 I'm in a pinball league with 20+ pinheads and they all said this was the nicest LOTR lighting they've ever seen. I can't help you with a figure, but are the finger prints something you can buff out with some novus or something?